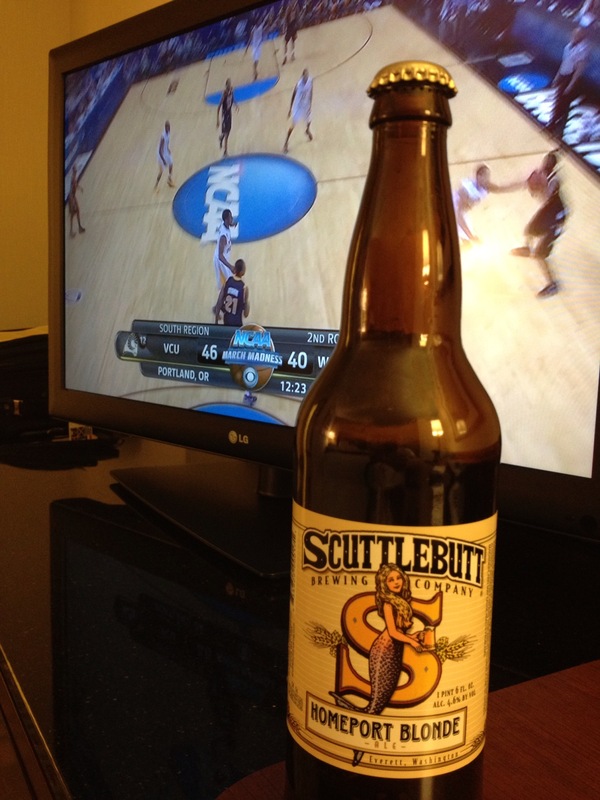 Stopped byTotal Wine and picked up a Scuttlebutt Homeport Blonde to watch a little, ok, A LOT, of hoop tonight. What a great surprise the Scuttlebutt is! A little more hoppy than most blondes, this is one of those brews that makes a burger that much better. great dirty blond color and a slightly fruitty nose. Nice choice.